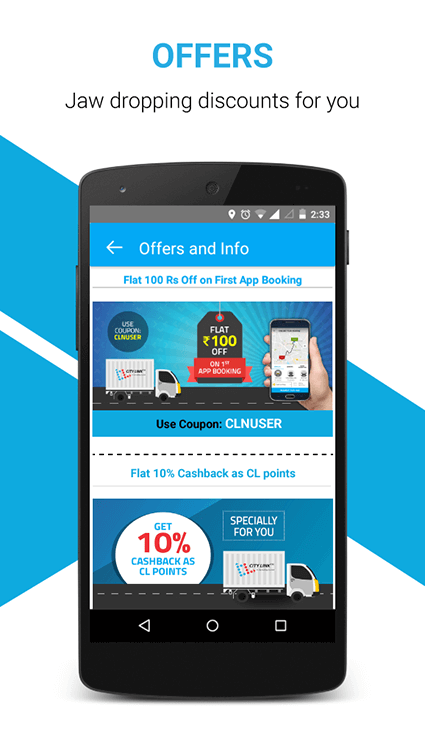 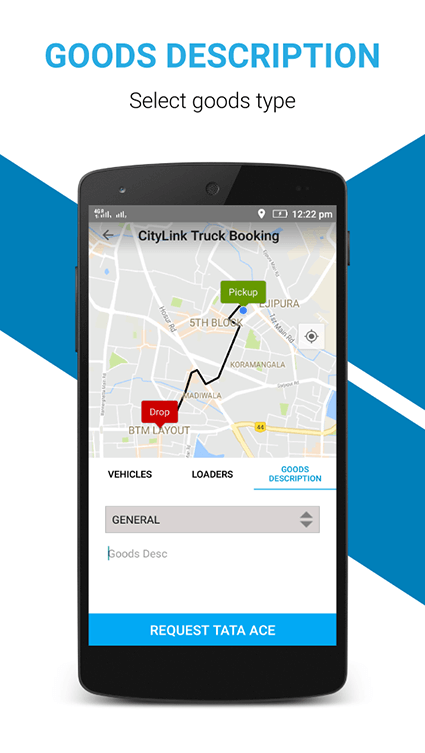 Just click on rebook to book a truck again. 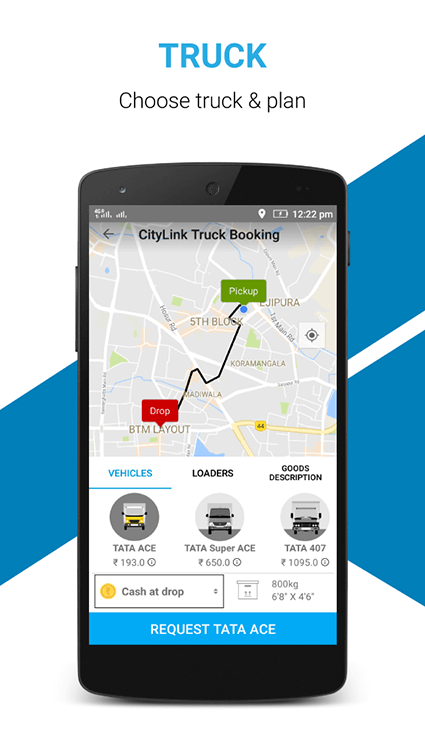 Intuitive design for hire a truck in bangalore. 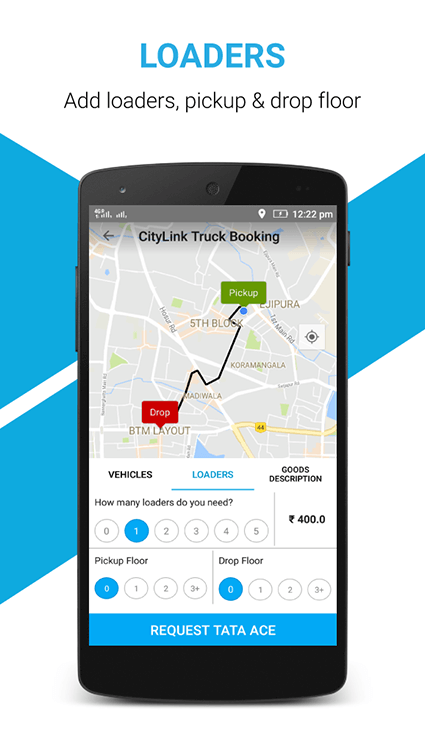 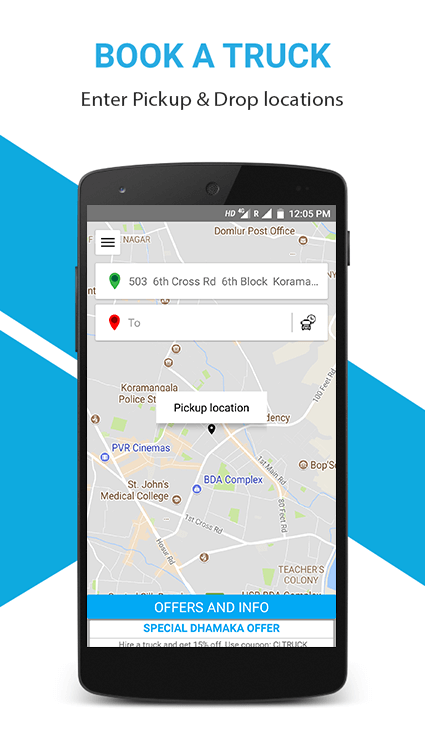 How to Rent a Truck in Bangalore? 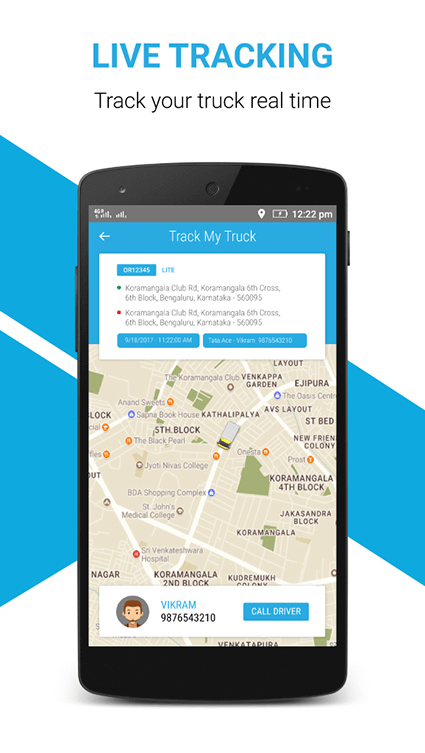 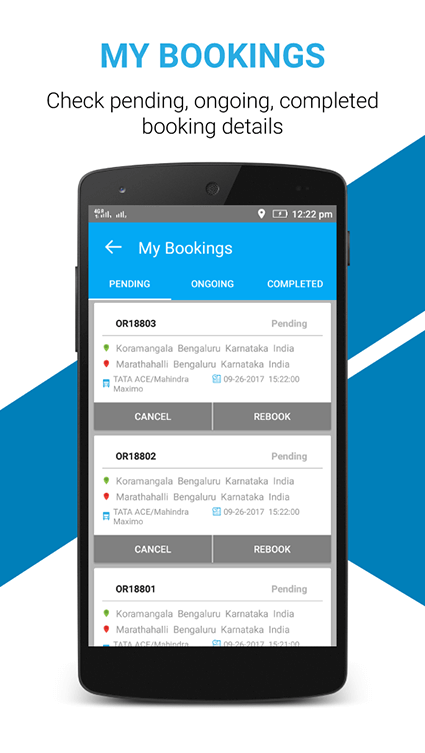 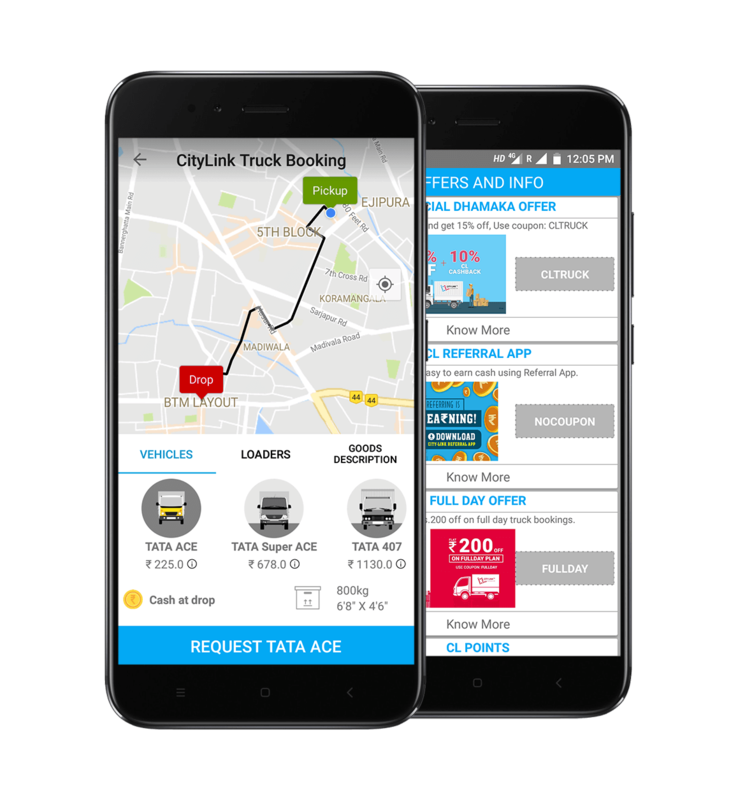 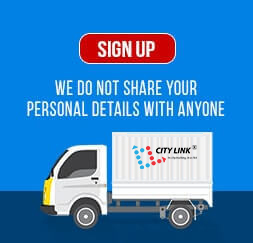 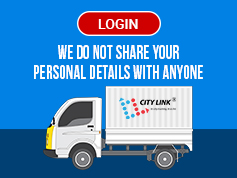 If your needs are any of the following: Goods vehicle for hire in Bangalore, Hire a mini truck, Packers and movers in Bangalore, Tata ace on rent, House shifting service, Local shifting in Bangalore, Tata ace for rent in Bangalore, Trucks for hire in Bangalore, Truck rentals, online truck booking app, Movers in Bangalore, Tata ace for monthly rent in Bangalore, Transport Services in Bangalore, Luggage auto for hire in Bangalore, Lorry for rent in Bangalore; then we are the right ones to take care of your needs.